S/Sgt. Joe T. Bray, son of Mr. and Mrs. John T. Bray, deceased, husband of Viola Hale, deceased. Entered Inf. in 1946, trained at Ft. Sam Houston, Tex., and Camp McCoy, Wisc. Served in France and Belgium. Awarded Bronze Star, Purple Heart, GCM, EAME, with 2 bronze stars, Amer. Def., and Combat Inf. Badge. 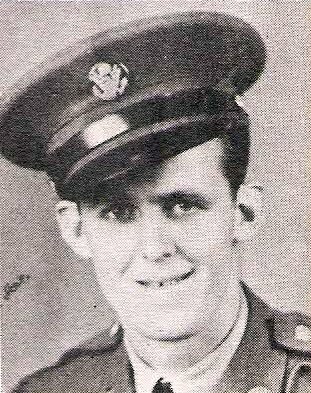 Wounded in France in 1944. Discharged in 1945.